High court opening | Justice Anthony Kennedy’s retirement from the U.S. Supreme Court puts conservatives in striking distance of one of their most cherished goals: overturning the landmark Roe v. Wade abortion-rights ruling. The vacancy also gives Donald Trump an opportunity to harden his backing among Republicans amid discontent over his border policy and other strains on his presidency. Click here for more on potential replacements. Mnuchin scores | Treasury Secretary Steven Mnuchin won a battle inside the Trump administration over trade policy this week after a series of setbacks as he tries to ease economic tensions with China. Bloomberg’s Washington bureau exclusively reports on how Mnuchin convinced Trump not to use an obscure law to block China from acquiring U.S. technology companies and their intellectual property, despite support for that approach from most of the president’s advisers. Dangerous pledge | Could Trump promise Vladimir Putin he’ll reduce U.S. military presence around Europe’s eastern boundaries when the two meet next month around the time of a NATO summit? That’s the fear of one U.K. cabinet minister, who noted the U.S. president called off military exercises with South Korea right after seeing North Korean leader Kim Jong Un. At stake is the survival of a postwar military alliance Trump has openly criticized. Neighborhood disputes | Greek Prime Minister Alexis Tsipras sat down with Bloomberg’s editor-in-chief, John Micklethwait, and was eloquent on debt, the economy, his political journey and convictions on Europe. He’s less forthcoming on his eastern neighbor, Turkey and its strongman leader Recep Tayyip Erdogan. 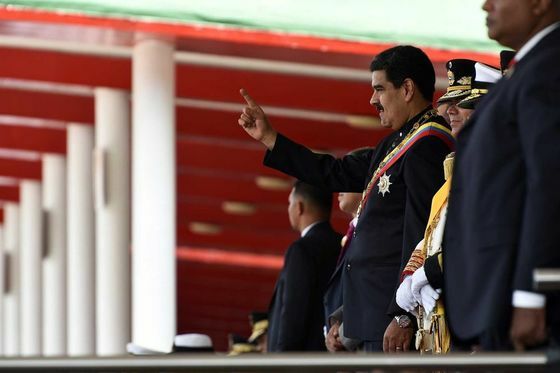 The two countries are at loggerheads over issues including the extradition of Turkish coup suspects and the return of two Greek soldiers who’ve been held without charge for months. Dispatch from the border | They file into the bus station in a line, carrying little more than a navy-blue box with accessories for their ankle monitors and, sometimes, a plastic bag of extra clothing or a small child in their arms. Jennifer Epstein visited McAllen Central Station in the Rio Grande Valley of Texas to take a closer look at how migrants crossing the U.S. border with Mexico are faring under Trump’s shifting policy. European Union leaders gather in Brussels today to tackle a growing number of challenges, from refugee routes and trans-Atlantic ties to Brexit and banks. And finally… The Harley Davidson motorcycle may be as American as apple pie, but that hasn't insulated the iconic brand from Trump’s inaccurate Twitter tirades. He wrote Harley “should stay 100% in America,” after the company announced plans to shift production to avoid retaliatory tariffs. The problem? While Harley makes a majority of its motorcycles in the U.S., it’s had several overseas manufacturing sites for years. 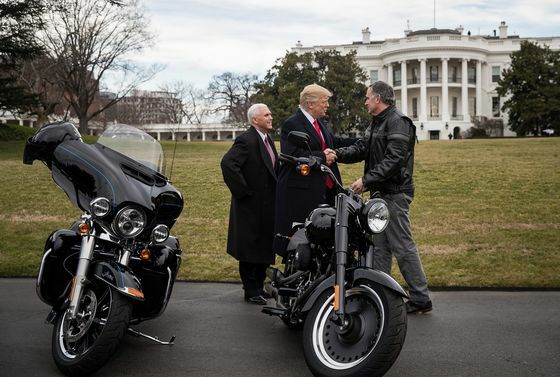 The president today plans to attend the groundbreaking for a Taiwanese electronics company's plant located just 30 miles from Harley’s headquarters.